Pomegranates tolerate cold to 10°F (-12°C). Fertilize with a balanced organic fertilizer in November and March. Coreopsis, Lavender, Cosmos, Zinnia, Sunflower and Nasturtium. Pomegranates grow into tall, dense shrubs that shade out other plants. Set out plants grown from rooted cuttings in late winter or early spring. 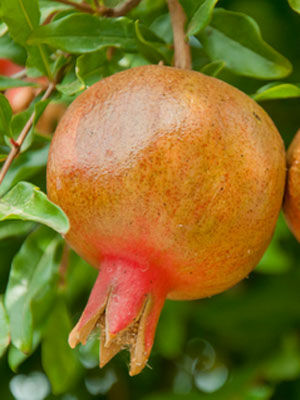 Named cultivars such as ‘Wonderful’ produce better than pomegranates grown from seeds. Harvest when ripe, which is usually in early fall. The fruit stores well in the refrigerator.